With 2015 already in the books, it feels like we ought to be living “in the future” by now. Futuristic 1980s films such as “Back to the Future II” and “Blade Runner” both had pivotal dates in 2015 and 2016, respectively, but in the real world we do not have their flying cars or human-like androids – at least not yet. Instead, our cutting-edge technologies are more subtle yet transformative in their own ways. Think of the impact of relatively recent innovations such as cloud computing, high-speed wireless networking (e.g., 4G LTE and IEEE 802.11ac Wi-Fi) and adaptive software defined WANs. Last December, research firm IDG Enterprise rounded up its editors to make some predictions about what 2016 would hold for some of today’s biggest IT trends. Let’s look at a few of the biggest ones and how enterprises everywhere can prepare for the possible changes they might bring. This is an evergreen prediction, as it could have been made at virtually any point in the past decade. However, IDG’s group offered some more specific insights: Namely that there would be growing interest among businesses in hybrid cloud deployments this year, as well as a new and unorthodox trend of shifting applications to the public cloud – for security reasons. Hybrid cloud is indeed increasingly popular. The 2015 RightScale State of the Cloud Report discovered that more than 80 percent of enterprises already had a hybrid strategy in place. Plus, the fifth annual Future of Cloud Computing Survey from North Bridge included projections that the amount of data stored in hybrid cloud would double over the next two years. However, hybrid cloud growth trailed public cloud growth last year, according to a study from Synergy Research. One IDG editor foresaw even greater public cloud growth due to IT organizations wanting to leave behind the costs, hassles and security risks of managing in-house infrastructure. 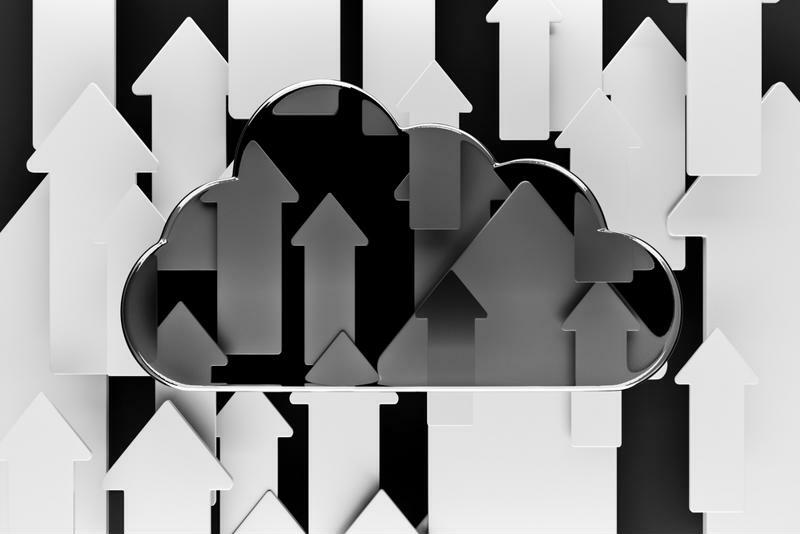 Regardless of their reasons for shifting to the public or hybrid cloud, enterprises will need a WAN Cloud solution such as Talari THINKING WAN to ensure optimal connectivity between all of its instances. Data analytics is a relatively new field that has been enabled by advances in cloud infrastructure, CPU power and WAN technology. Venture capital has been pouring into this space in the last few years, benefiting firms such as Silicon Valley darling Palantir Technologies. This flood of money could lead to consolidation among analytics firms, according to one IDG Enterprise editor. For enterprises, analytics can be valuable for a wide variety of tasks, from understanding customer data to screening for cybersecurity threats across the network. IDC estimated that the combined big data and analytics market was worth more than $125 billion in 2015, underscoring its importance to businesses around the globe. A modern WAN is essential for making the most of analytics. Reliable paths and enforcement of priorities during failover situations allow these data-intensive applications to work as smoothly as possible and avoid interruptions from non-critical traffic. IDG Enterprise’s experts had plenty to say about the future of the CIO role, including thoughts that CIOs would renew their seriousness about cybersecurity as a result of new threats against the Internet of Things and wearable devices. Another prediction held that CIOs would become increasingly marginalized as more time and attention went toward cloud computing services. Shadow IT may be bigger than the cloud. The so-called shadow IT phenomenon, under which enterprise employees bypass IT to use unapproved solutions, is definitely a big and growing issue in the enterprise. Almost two years ago, ReadWrite contributor Matt Asay estimated that shadow IT might be many times the size of known cloud usage, driven by SaaS applications that IT departments had not given their seal of approval to. WAN Cloud solutions like Talari’s can help CIOs regain control and also shore up the liabilities that shadow IT usage introduces into the network. Real-time visibility into connection quality is possible this way, plus network admins can keep better tabs on any issues with performance and/or security. Wireless hot spots have become a hot-button issue in recent years as some convention centers and hotels in particular have allegedly taken to blocking their usage. The Verge has reported that the Federal Communications Commission has levied six-figure fines on some hotel chains for clamping down on personal hot spots, so that end users would have to go through the venue’s official Wi-Fi network. IDG Enterprise’s editors predicted that there would be more clashes between wireless LAN vendors and the FCC over this issue in the new year. The stakes do seem to be high, in light of the size of the penalties and how much some organizations charge vendors to be the exclusive Wi-Fi providers at their sites. Whether there is an ongoing struggle or not, providing a top-notch network to end-users will continue to be vital at hotels, restaurants and enterprises of all kinds. An SD-WAN can help effectively manage network infrastructure so that guest Wi-Fi is feasible yet doesn’t interfere with mission-critical applications.